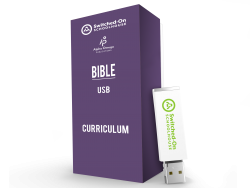 SOS 4th Grade Bible contains easy-to-grasp answers for those difficult biblical questions. Christ-centered content also explores salvation, praying for others, and searching for God. Their minds will expand as they study Saul, David, Daniel, biblical geography, individual worth, and sharing Christ with everyone.